As an employer, you are responsible for the safety of your employees as well as ensuring workplace productivity. Substance use of employees is a concern that can affect both safety and productivity. The rights of an employee or prospective employee during the interview process and after hiring are well outlined under several legal provisions. You need to have a thorough understanding of these laws to avoid legal issues in interviewing and wrongful termination suits so knowing the questions you can ask and the information you may seek is essential. According to the U.S. Department of Health and Human Services, an employee’s right to privacy in the workplace and in a job interview regarding substance use history is protected by a number of legal measures including The Americans with Disabilities Act (ADA) and The Rehabilitation Act of 1973. This legislation assures that employers cannot discriminate against people based on a history of substance use. 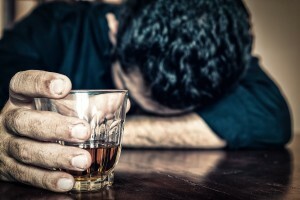 As an employer, you must be aware of the substance use history of an employee, which impairs one of their major life activities and base an employment action on that knowledge to be liable for unfair treatment of a current or prospective employee. If you are not aware of a substance use history per se but you provide the perception that you are inferring a substance use problem and you base an employment action on that perception, inferred discrimination actions also leave you vulnerable to liability for unfair treatment claims. Whether in a job interview or in the office, you as the employer cannot ask if an interviewee or employee has a history of substance use or has been through treatment for substance use issues. If during the course of employment or pre-employment research, you become aware of any medical information regarding past or present substance use and treatment, you are required to treat that. In a job interview you can, however, ask whether an interviewee is currently using drugs and whether they currently drink alcohol. As a prospective employer, you may also require a drug and alcohol screening test that could potentially reveal past substance use so long as all applicants are required to take the same test. Nonetheless, as long as an employee’s substance use issues are in the past, their privacy is protected under the law. As an employer, you are not legally permitted to ask about your interviewee’s substance use history but you are allowed to look at the person’s public social media profiles. In fact, studies show that up to 38 percent1 of recruiters do so. (Bohnert & Ross 2010, 341). Prospective employees should be aware that public social media postings can have an effect on the perception of them as a candidate for employment. Even casual drinking has been connected to lower success on the job market. The 2010 Bohnert and Ross study found that social media profiles that emphasized alcohol use scored lower in terms of candidate desirability than those that emphasized family or professionalism. Profiles that displayed alcohol use were judged as “least conscientious, least qualified, least likely to be interviewed, and least likely to be offered the job. Participants reported that the applicant with an alcohol-oriented website, if hired, would be offered a salary that was approximately $2,400 less1 than the applicant with a family-oriented website.” (Bohnert & Ross 2010, 343). Legal requirements for confidentiality and other protective measures against workplace discrimination are there to keep an employee’s substance use past from controlling his or her future. Making the decision to change is an empowering step toward taking control of the person’s life and becoming a more reliable and productive employee. These employment privacy safeguards are there to ensure those individuals who choose to move beyond their substance use will not be punished permanently by past behavior and history. Employers and recruiters are expected to not make decisions based on past behaviors and history but to confine their employment decisions to the current substance use behaviors of employees that directly affect the safety and productivity of their employees and company. 1 Bohnert, D., & Ross, W. H. (2010). The Influence of Social Networking Web Sites on the Evaluation of Job Candidates. Cyberpsychology, Behavior & Social Networking, 13(3), 341-347 doi:10.1089/cyber.2009.0193. The following is a guest post by Faith Moore, Public Relations Coordinator at Saint Jude Retreat, an alternative to traditional drug and alcohol treatment centers and rehabs. Saint Jude Retreats provides a program for people with substance use problems that concentrates on self-directed positive and permanent change. Through the program, we offer the opportunity for individuals to self-evaluate and explore avenues for life enhancement.